... or how do you explain that map of Europe shown on www.red-hat.com? 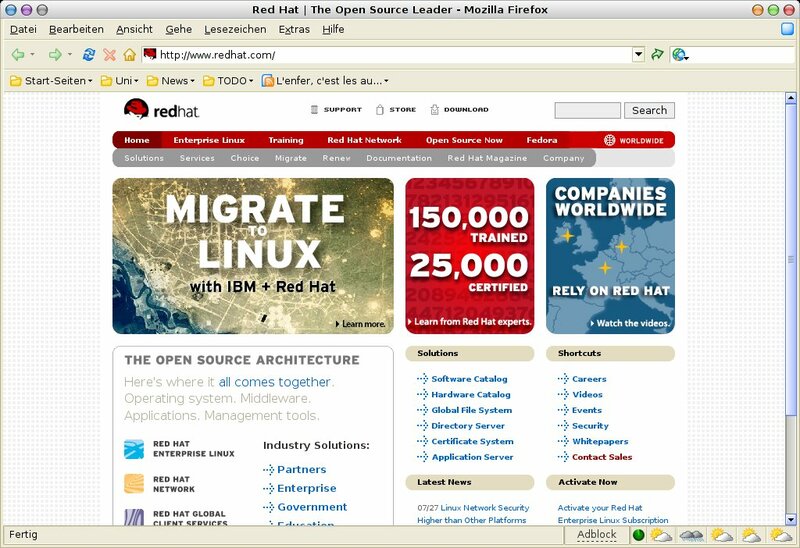 Please, dear RedHat people, tell me, that your packages are newer than your maps, or nobody should rely on redhat! Thanks to Frank for the hint and maxx for this blog title. ... for something similar. Being bound to work, university and other stuff can really drive you crazy. Good luck, Meike, take your time to think, enjoy your trip. I'm at work. Again. After more than one month abstinence. I spend nearly one week in Karlsruhe at LinuxTag, got back home to wash my closes and nearly immediately packed them to travel to HEL. Spend at DebConf nearly three weeks, got back for less than 36 hours just to get back on the road again for ApacheCon for an other week. I have been among geeks all the time, so it's some kind of clash with reality to finally get home and to work, without being surrounded by geeks. Now you are on planet, too. Welcome, alphascorpii.